Humidifier + Air Purifier: Your One-Two Punch to Ease Dry Skin and Flyaway Hair! With humidity levels continuing to hover around the 29 percent or lower mark, there are a lot of Ontarians right now suffering from dry, cracked skin! 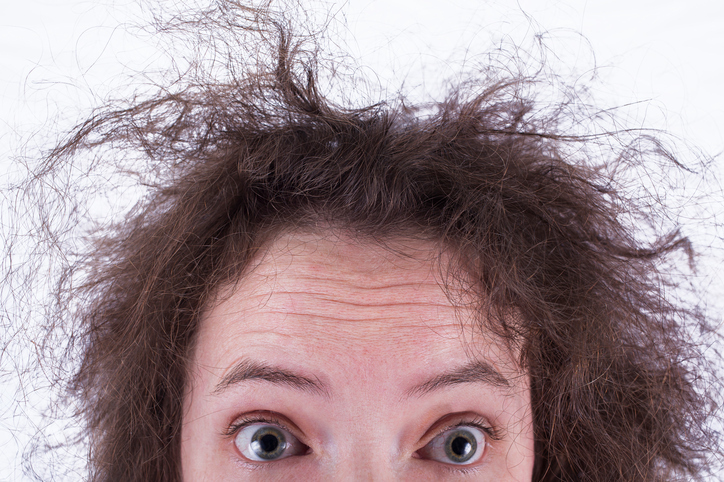 Ideally, humidity levels should be between 30 percent and 50 percent. To make matters more uncomfortable, while it can be nice to have light, bouncy hair that is full of body, when the humidity levels fall low enough, “bouncy” turns into “static electricity” and that is a look that has never been in fashion! Humidity levels that are too low do no one any health or style favors. So what can you do to ease skin discomfort, flyaway hair, and that awful parched feeling in your mouth, nose, and throat? Luckily, we have a great answer for you! What you need is the one-two punch that humidification plus air purification can pack. In this post, learn how a humidifier and an air purifier can work together to restore moist, glowing skin and shiny, manageable hair. Figuring out what air purifiers do is not rocket science—after all, it is right there in their name! An air purifier purifies the air, plain and simple. But it is how your air purifier does its job that is the real magic. Did you know that air purifiers use the same technology that our planet’s sun uses to clean the air? The sun produces different bands of ultraviolet light. A and B are the bands our doctors warn us about, encouraging us to wear hats, sunglasses, and sunblock to keep sunburn at bay. But there is another band, ultraviolet band C, that never reaches us because the ozone layer surrounding Earth blocks it out. It is this third and most powerful band of ultraviolet light that today’s UV air purifiers harness to clean your indoor air at home and at work. Ultraviolet band C is so powerful, it can neutralize even the most microscopic particles floating through your indoor air supply. It simply zaps them so they never even enter your indoor air. There are different types of air purification systems. Portable ultraviolet air purifiers can be placed in a room or a small open concept home or office space up to 900 square feet. Central ultraviolet air purifiers are installed inside your existing duct work, so they clean the air right at the point of entry, making sure that the cooled or warmed air that enters your ducts is clean and clear of any airborne irritants. By irritants, we mean allergens, pollen, pet dander, bacteria, mould, mildew, viral matter, fungi, volatile organic compounds, smog, pollution, airborne chemical matter, odour-producing micro-particles, dust mites, and more. If there is anything toxic or harmful in your indoor air supply, it won’t be there anymore after it passes through your UV air filter! This ensures your indoor air supply is always clean, pure, and healthy for you, your family, and your pets. But there is one thing even the most powerful air purification system still can’t address for you, and that is too-dry air! For that problem, what you need is a humidifier. Humidifiers can be your best friends during the long, often dry Canadian winters. When humidity is balanced, we typically take it for granted, not even thinking about how the amount of moisture in the air affects our hair, skin, and body. When humidity skyrockets, and our hair becomes limp and our skin feels damp, and we just want to run indoors, we are aware of the full power of airborne moisture! Similarly, when the air lacks most of its airborne moisture, our skin begins to dry out and crack. Our lips get chapped and our cheeks get red. Our hair crackles with static electricity and our nose feels sore inside. Perfect humidity-balanced days don’t come along very often in regular weather, but they can be created with a little help from an indoor humidification system. This type of system works to add back essential moisture to your air supply at home or work when it’s very dry outside. There are two types of humidifiers: portable systems and central systems. A portable system will add humidity to the air in a small space or even a single room. One common use for portable humidifiers is in a child’s bedroom to help ease asthma, allergy, and cold and flu issues. A central humidifier works with your existing air conditioning and heating system to add back moisture to your indoor air as needed. There are two main types of central humidifiers, including steam and flow-through humidifiers. A steam humidifier releases moist air into your ducts via steam that is then carried to each room in your home or workplace to balance out overly dry air. A flow-through humidifier can be installed to work with your supply or return air valve to move incoming fresh air across a humidification pad before it enters your air duct system and moves throughout your house. This effortlessly adds back moisture to the dry winter air. Now is a great time to consider adding a humidifier and ultraviolet air purifier to your existing HVAC system at home or at work. Right now, by participating in our spring Breathe Clean Air event, you can save 20 percent off all whole home indoor air quality equipment, including whole home humidifiers, whole home UV air purifiers, whole home air filtration systems, and heat recovery exchange units. Winter isn’t over yet, and with a savings offer like this one, you don’t have to suffer the effects of dry, toxic air anymore! Are you ready to claim the indoor air purity that will give you better health, clear skin, shiny hair and plenty of rich, oxygenated air to breathe? Contact us online or give us a call at 905-544-2470 to find out how!